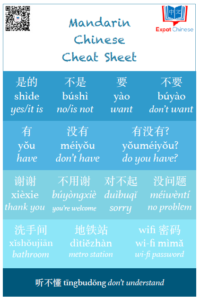 There is also a handy chart for all the old and new visa types over at The World Of Chinese, you should check it out too. Easy check list on which kind of visa you have to get: Which is the Most Appropriate Visa Category for your Application? Currently I’m in China on a student X visa wich will expire in September, then I can have a new student visa for half a year, but that’s it. After graduation I have to start looking for another visa. As it’s a bit unclear what I’m going to do after graduation, I might have to get a tourist visa from Hong Kong first. Although I learned from the visainchina.com website, that I might be able to get a zero entry tourist L visa without leaving China too. But of course I can’t be on a tourist visa forever. If I find a job, then the company should help me with the visa, but what if I work as a freelance basis in several different projects? Am I able to get a new M business visa if I open a company? According to my knowledge freelancing isn’t really possible without a company in China, as everyone working needs to have a correct visa. As you can see, visas are still bit of a foreign land for me, as until now I’ve been able to stay in China on student visas. If you have more information or links to great resources, please let me know in the comments! In Shanghai, Suzhou…you cannot apply for tourist visas without leaving mainland, dont trust what websites say because many visa agents did not update it, this way they atrract more customers. Since you are in Shenzhen maybe thats possible but I suggest you confirm this with Authorities, you dont want to end up with a need to a last moment plane ticket to HK or a fake visa sticked in your passport. Summary: take care, but sure Shenzhen is more flexible. Regarding your visa situation, as you know you can’t freelance and get a visa, you need an employer to sponsor you. And if you want to freelance..what? You should then start your own company, that means go through the process, have the capital, office location..etc. I actually live in Guangzhou, but still aren’t sure of the visa regulations here. For me it’s not a problem to go to HK when renewing my visa, it’s only two hours train trip from here. It would be a much bigger problem if I lived in Shanghai, Xi’an or somewhere else. I’m thinking that tourist visa is the option when I’m still thinking or sorting out other options. For freelancing I would open a company in Hong Kong, but I’m not sure of the new visa M rules, if it’s even possible to get a business visa that way and for how long. For starting a company it would mean working from home, so office or even big amount of capital isn’t luckily needed. Do you have more information about the new M visa? Or how the business visa worked before? I know a lot about visas but M visa..is new to me. Business visa was F and now they dont offer extensions anymore. Plus business visa is not the same as work permit either. Different purpose. Tourist visa should be the solution for you then. Well if you want to start a company in Mainland, then you need an office or you need to check if you can register your apartment as an office ( needs some license, depends on the area..etc).In Mainland home=office, doesnt work. In the case of opening a HK company, which kind of visa will you get for China..? My last company was a HK registered company, and they of course needed a branch in Shanghai. This means…one accounting (services) company in HK and one physical office in Shanghai. By the way I post as Alva (dont ask me why ), but this is Laura! From Pausa Monk and facebook etc. Starting a company in the mainland isn’t really an option for me, HK would be the way to go. And no physical office except my “home office”. But if it’s possible to get a longer business visa than a tourist visa, then it of course would be great. Then there is the question if getting married would help me to get some other more longer visa and if that would be better or not. It’s getting all really confusing in my head! As someone married to a local, let me tell you it helps being married, but depending on a variety of factories (your relationship with the local PSB, the current political environment, etc), it can still be a hassle. I could get into specific stories, but I don’t want to scare you! Things have been pretty smooth sailing for me recently since I have my paperwork in order (that was a huge hassle since we got married in the U.S.) and our relationship with the PSB is now quite good. I have to renew my visa every year, but I can do that at the local PSB–so happy I don’t have to leave the country! I think you are technically eligible for a 5 year permanent residency permit once you are married AND living in China for 5 years, but I’ve heard that it’s so hard to arrange that most people don’t bother. I”m going to try later this year. It sounds quite okay to have a year long visa and no need to leave the country to renew it. Do you know is there going to be change for this since the new regulations? Please let me know when you apply for the 5 year visa and how it goes. Does it mean you also have to be married for 5 years before applying? As Alva says below, I’ve got a one year L visa which doesn’t allow me to work. I’m not sure what, if anything, has , changed with these new regulations. I’ve done some reading on it, but it’s not real clear. I’ve heard rumors that they are going to reform the spousal visa/residency process in the future and things should get easier. We’ll see. . . I have to be married five years and continuously living in China (9 out of 12 months of each calendar year) during that time to apply for the 5 year residency visa. At least, that’s my understanding. Till July 1st, I say this cause the new visa classification I dont know, but..till july 1st when you are married to a local you have the right to apply for a L visa 1 year multientry (tourist visa1 year renewable). With that said, it means is not a work permit, but it allows you to stay in the territory. If you have a job, you still need to get out and apply for work permit. Plus, in Mainland there is no such a thing as “home -office”, those who legally have an office at home had registered those homes as offices (and not all homes can get that license), that means, they have a Mainland company. I’m not an expert on this, not on the visas or the laws. But what I do know is that many foreigners open a company in HK, but live and do their business in the mainland. Opening a company in mainland would be much more expensive and complicated. If someone has a company outside China and they come here for sourcing I think they will apply for a business visa. Right? So would be situation just be a very very long business trip? I woudn’t need to licence my “home office” as the company is under HK legislation. I could live anywhere in the world and still do business through HK company. But what is the legal way to go with the Chinese visa? Business visa would sound like to most obvious one. I know there are plenty of foreigners like that, my former company was formed in HK but needed a Shanghai office. In that case they have a business visa, I would say, you cannot live forever and ever on a business visa, it would be weird to be able to renew it as many times as you want. This really is a tricky topic! I’ll see where I could get some more information about this. Sara, I just got the reply from the visa agent I know. he confirmed if you marry a Chinese you can apply for the current Q visa M0 (multientry). This visa agent is a great guy, he helped me with my last visa and communication flows easily. Plus, they have some kind of “agreement” with a visa office in Hong Kong, so for tourist visa for example, you would go to their HK office, and they will apply for it (line up for you..etc etc…). The office where this agent works is here in Shanghai but maybe you can discuss with him, and sending the documents in scanned version should be enough. If you want me to share his personal details with you you can write me a message in facebook (Laura Alvarez…) and I will send an email to him and cc you! Thank you so much Alva for your help! I have a visa office I know in the HK, they’ve helped me with tourist and student visa before. Just hand my papers and passport to them. I still have time until January before my next visa will expire, luckily I have some time to figure it all out. Alva & Sara, thanks a lot for such amazing blogs (Living a Dream and Pausa Monk). I have been living in asia and china for a while and it’s great to read your picture. I was in Taiwan, and now i am stuck in HK trying to get a visa to china again but it’s been so complicated to get one. From the agencies sides (forever bright, sunrise, japan, etc) there is not much to expect as they are not offering anymore long stays visas (1 year or 6 months F) just said “we will try to get you an L for a month” (today 26-08-13 at forever bright, highly recommended agency in hk, where I have gotten 3 to 4 long stay visas before). From the Commissioners office (China Embassy in hk): “you shall provide JW202 form issued by the Ministry of Education of the PRC and the enrollment notice from the receiving school, and health certificate” what Jinan University in GZ (Sara, you were who finally convince me to moved to GZ!!!) didn’t provide even though I am an accepted new student. Seems that I am getting one month L visa, going to GZ, paying a tuition and see if am am able to get a new visa or now by then. Jinan didn’t give you the JW202? Why on earth didn’t they give you all the documents needed for the student visa? You could come to China with the L visa, get your documents from Jinan and then go back to get your X visa. I don’t remember your situation Mateo, how did you get your acceptance letter and registered to the university? I got my M visa in May. With Finnish passport could get it for 6- or 12-months, multiple entries and no limit for one stay. Business visa is not really different from tourist visa, except it is for longer time (tourist visa was max 3 months and only one entry). It does not give you right to work in China. I have my companies in HK and Europe and just live in China with my girlfriend, so for me business visa is enough. Correction that my visa was the F visa. Do not know if there has been any changes after business visa become M visa. Thank you for your help Jari! What paper work did you need for it and was there anything special to pay attention to? So perhaps in theory business visa is the way to go if someone has a company in HK because technically all the business is in HK. It would be great to get a visa for longer than the tourist visa allows. No need for any paper work. Visa agency in HK took care of everything. I just give them my passport, photo and told what kind of visa I needed. I told them my company name, but no other information was asked. I will ask few weeks later from my visa agency if things have changed after July. In July there have been changes on F visa, Sara you should check that. If with “M” you mean multientry it was possible to get it once but as far as I know from 1st July you can’t renew a F visa anymore…so F visa has been impacted also. Right now I have a X visa, but because of the final semester will be less than 6 months I’m not sure if I will have to apply for X1 long term study visa or X2 short term study visa in September. I believe my university will help me with this. M visa is the new business visa now that jraitamaa was talking about. F visa wil be a non-business visa from now on. But your passport do now show the entry date or the date you left Mainland so for some other papers like the temporary registration form..they didnt ask you anything..? Hi Sara. I am an ABC boy. Specifically I was born in H.K. and have HKSAR card and U.S. citizenship. I do not know if you are familiar with me but I have supplied Jocelyn Eikenburg with several of my stories and comments on her blog as well. I am curious to know if you know anything about whether we ABC people will have some special visa treatments in China or not. Do we ABC people get visas easier than other foreigners? I’m no way an expert in visa issues, but if your parents have China citizenship then Q1 visa seems to be the one for you. But other than this I unfortunately don’t know much about the ABC visa situation. If you find out more, please let us know! I don’t have any idea about visas for HKSAR citizens but when going from Mainland to HK local people need to get a special paper (aka: dont call it visa! ), that requires about 2 weeks to get it and in Shanghai they go apply for it at the Shanghai Entry & Exit Bureau… I know is not your case but I can only tell you the reverse one! Keep up your comments on all our blogs! Well, my experience is this… I’ve lived in Shenzhen for 11 years (have not left the mainland for more than a month per year in the last 6), have been married for just over 5 to a local citizen and can tell you the whole marriage = long term visa / permanent (ID) residence / eligible to work as is with local citizens thing we’ve all heard about is a myth. At least if you’re 100% legit and going through the proper Govt. departments that is. I’ve always had to get 1 year L visa’s (fortunately I own a company/bank in the states and have never worked a day in China). After 5 years of dating, when we initially married we traveled back to her hometown to do so and included in the application was a medical and criminal background check. All official, all good. Next time around – L visa again. Going on 6 years now, still L visa. Apparently the new laws are aimed at illegals (living/working in China) and helping those of us playing by the rules to make (visa) life easier. Not so sure about that.. now that my current visa will expire in a week I’m being told (my wife stopped by the SZ Govt. dept to be sure beforehand) that I can no longer get a one year L visa as per usual… now it’s the same price for the same type of 6 month visa (940 RMB I think it is) – if I want a 1 year visa I’ll need to go to the Govt. approved hospital for a full physical and blood work EVERY year. Seriously!? Been there done that once already, not a good experience at all (dirty overcrowded hospital, looky-loos, pokey needles and everything lol…), no thanks. Anyway, so much for the easier visa/residence process for us legit expats. Looks like every 5 1/2 months I’ll have to pay 940 RMB for the L visa. Oh and FYI for whatever reason apparently they’re now also finger printing foreigners. Awesome. As I just returned from the visa & residence permit interview this morning I thought I would follow up on my comment yesterday for anybody in a similar situation wondering whats going on… Despite what my wife was told yesterday, the new visa (L) is valid for 6 months (956 RMB), BUT I must leave China and return every 2 months for it to remain as such. The 1 year L visa requires the hospital visit for body physical, blood work, finger printing and DNA – EVERY year. When I asked about/referenced the specific visa/permit listed on the China govt. website, I was told that to obtain a longer marriage/residency permit and visa we must travel back to her home town to apply at the govt. office there in person. To be eligible we must own a home and I must have a Chinese bank account with a (yet to be determined) certain amount of money available (for what exactly, we’re not sure, but I assume it’s for their assurance that I wont mooch of the govt. as if) – OWN A HOME AND HAVE A PERSONAL BANK ACCOUNT WITH AMPLE FUNDS IN HER HOME TOWN. How convenient. Why on earth they are targeting legit families with these new laws? Is a complete mystery… what a joke. Even with all of the above taken care of this does not guarantee any visa or residency permit… they could in fact issue the same 6 month, every 2 month out/in L visa I now have. Needless to say we’re just a bit unhappy with all of this. Time to contact an attorney in her hometown, break out the “donation” money and hope for the best. Otherwise, it’s goodbye to the life we’ve built for ourselves in China. Goodbye to family and friends. Sell everything, make the journey across the big pond to America and start all over again. Truly sad. To anyone else in a similar situation getting ready to apply, all I can say is good luck! Better pack your bags just in case. Was in the neighborhood of the govt. hospital yesterday and thought I’d stop in to find out the specific details involved with the medical check… it has changed a bit since 5 years ago. In addition to full body physical, blood work, finger printing and DNA testing, I was told that regardless of the visa type applied for (X Z M L etc.) now the process also includes urine analysis, eye exam and X-ray’s!! Hilarious. Sorry if I seem a bit ‘bitchy, but seriously come on, I’m not applying for the Olympics or space shuttle program after all jeez… and the cost? 480 RMB, (at least) 2 hours of my time, 50 RMB RT taxi fare. If this was a one time deal resulting in a 5 year or longer visa/residence permit (as is stated in the govt. website outlining the new laws), fine. But EVERY 11 months? Where does it end? Absolutely ridiculous. After 11 years of living in China, over 5 years married to a citizen and without jumping through hoops every year and subjecting myself to what seems to be a medical experiment of sorts, the best they can come up with is a 60 day L visa!? Wow. Thank you so much Franco for seeing the effort in writing us these updates. They are really valuable information for all of us applying a new visa after the new regulations. I really don’t wish to take a medical exam every year. But a 60 days visa doesn’t sound that good either. Please keep us posted on what the law offices has to say. After speaking with a law firm/attorney in my wife’s hometown (they seem optimistic), following their advice I’ve started the process and now awaiting a notarized criminal background check from my local police dept. in my US hometown – which a family member must apply for in person along with a signed letter of authorization, copy of drivers license and passport from me… once they have it, it’ll then need to be sent off to the US state dept. for notarization and finally sent to the Chinese embassy in the states for yet another notarization before being sent on to me. (Note – this is a new process, at least five years ago I just needed to make an appointment and go to the Embassy in GZ to obtain the notarized document). Anyway, once I have this triple notarized document (roughly $100. and 4-8 weeks down the road), I can then travel to her hometown to get the medical exam, clearance documents etc. and be interviewed for the long term visa/permit. Just one problem, even with all of the above the interviewing officer will decide whether or not I am even eligible for a long term permit (if any), the classification, for how long etc… with no rhyme or reason the individual could simply deny the application and send me on my way. According to the attorney I spoke with I may be required at that time to purchase property/open a business and/or open a bank account with a minimum of $10,000. USD on balance (the maximum amount I can travel with or easily transfer bank-to-bank myself) if I wish to proceed. With this, basically, we’re looking at a $25k minimum investment with absolutely no guarantee of the outcome. The individual officer can still deny my application simply because I wore the wrong shirt, having a bad hair day or he/she spilled tea on their shirt that morning or whatever LOL… of course there is always the one other “donation” option, but apparently that is equally substantial and risky to say the least. Not how I like to operate. Oh and BTW the US Embassy citizen services dept. has been of little to no help throughout this entire matter. Nothing beyond textbook general information – not even specific US govt. contact names/addresses/phone numbers etc. Way to support your citizens guys!! After many phone calls and emails, it took me over a week just to track down the correct departments/people/information to get this rolling……. Honestly, after speaking with ten or so different govt. reps it seems as if no one really knows what’s going on with long term visa/permits for married expats right now. Different info. (or nothing at all helpful) from each, with far too many grey areas. Not a single rep (American or Chinese) has been able to provide me with an official, guaranteed (or at least somewhat so), step by step how to guide… Amazing. I guess every person/situation is different and we’re all on our own to figure this thing out. Frustrating to say the least. Right now all I can do is sit and wait to see how things play out. This really seems to be new head ache for us foreigners. I’ve heard that before it was easy to get long L visas from Hong Kong, but now everyone is getting just two weeks. But for someone married with a Chinese you can get the 6 month L visa, but have to cross the border every 2 months. At least the price you mentioned, 900~RMB, is much better than what I read over Chinese-Forums: “Paid 4800 HKD for a 6 month F visa (60 days per entry)”. I decided to check the details if I apply for a visa in Finland, they finally updated the information on the embassy’s website. For L visa I would need a invivation letter, but how could a letter from my boyfriend/his family help me to “guarantee of leave for the duration of the trip”? F visa doesn’t really work because they require “Invitation letter of Duly Authorized Unit or Confirmation Letter of Invitation issued by an authorized unit in China”. So instead of getting two weeks L visa from HK I might get a one month L visa from Finland. Doesn’t really help much. may i please know the agency contact number you use for your visa?? As I’m in the middle of figuring this out myself, I’m (obviously) no expert on the subject and can only speak from my personal experiences over the past decade… no doubt the new laws are very confusing and have a lot of grey areas left open to individual interpretation when inquiring and at the time of your interview. Part of the current problem (or solution depending on how you look at it) is that the govt. seems to be getting wise to/cracking down on the “back alley” tactics being used to obtain visas as well as how the visas are being used. A blanket approach of sorts. I suspect this is due to many foreigners in China, now and in the past, living and working on the wrong visas (essentially illegally)… for example, I see this a lot in the teaching, hospitality, entertainment and import/export sectors. Unfortunately, all of us here legitimately and with good intentions are being penalized for this. Anyway, personal views aside. The price I quoted is what I paid directly to the SZ government entry/exit visa department. It’s a 6 month multiple entry L visa with the stipulation that it is only valid for 60 days each visit within that time frame. If you go through an agent, yes, the prices can be outrageously WAY high!! I’ve heard of people paying between 3000-6000 RMB for 6 month L/F visas and much more for the other classes. And if you get the wrong class (or worse a fake) you run the risk of becoming ineligible for proper renewal visas later on. Possibly fines and/or deportation. Risky. If your plan is to stay in China long term (or longer than just a one time visa for a few weeks/months) and all of your previous visas are legitimate/in good standing, my advice would be to try and do this legitimately through the proper channels, only deal directly with the govt. and avoid agents. Rather than going on hearsay, it would be wise to speak directly with the source to get answers to your questions. This way you know you’re doing things correctly and wont run into problems down the road. Also, it’s going to be much much cheaper in the long run. It may be confusing and you may receive varying advice from one person to another (like I have), but I think the best thing to do would be to have a Chinese friend accompany you to the local govt. office (try calling first, but usually they don’t answer because they’re so busy) and simply ask the head officer what options you have, how to go about obtaining the right visa (for your specific circumstances/intentions) and the actual costs involved. Seriously, so long as you’re current visa is in good standing and you’re not trying to do something shady, there’s no problem with just asking questions – they are there to help. Anyway, you may not get the answers you’re hoping for and there may yet be alternative methods available, but at least you’ll know where you stand, what you’re dealing with and have a firsthand official reference point to proceed from. I have never heard of anyone needing a letter of recommendation for an L tourist visa… that is very strange indeed! I suppose they want either a return/exit travel ticket or a co-sign letter guaranteeing you wont do something illegal or mooch off the govt if you fall on hard times during your stay. I didn’t have to provide any such letter for the L visa I just received a few weeks ago (or in the past). i will be sure to start finding out the answers to my visa questions during this Autumn and posting my finding to the blog. Until now I’d always known how to get my visa, tourist and X, so this is the first time I’m so clueless what to do. Thanks for all this info and sharing your story. I, like you, have been married to a local for over five years and have been renewing my one year L visa. My current visa expires this fall. Your struggle really concerns me. Do you have children? My husband and I are trying to have a baby, but if this is the reality of the visa situation, I can’t imagine what we’re going to do. This is a nightmare, but doesn’t surprise me in the least. Please keep us updated! How can we send emails to the members of this website? Can i send emails to Alva member?It look like Alva has a lot of knowledge on the visa topics.I am interested in long term visa more than 2 month and if possible to do bussiness in mainland.Can you recommend some people on the forum? If someone hasn’t left their address where you could find their website with contact information, then you can just reply to their comment and hope they will get back to you. Lot of readers don’t leave their real email address and even if they do, I don’t share it with others. If you find more information about the visas, please let me know! I need some info to apply for F visa in HK. I am currently in Shanghai with 1 month L visa and I really need to apply for F visa to do an internship program for 2 months. I am travelling here using Indonesian passport, so I am wondering if I could apply for F visa in HK as I heard there is a slight recent change Chinese visa regulation saying that it is not possible for non-resident to apply for visa in HK. I just wanted to post an update on my own visa situation. I am currently married to a Chinese national and unemployed. I applied for my new residency permit today (same price as before, 800 rmb for one year, I believe this is the same for all nationalities). I didn’t need a medical exam or any additional documentation (compared to last year). The only difference I experienced is that pick up is three weeks from date of application and in the past it was one week. Thank you for the update R Zhao! R Zhao, I am also married to a Chinese national and currently unemployed. She is expectant and I do want to be around. I am assuming you applied for the Q1 visa? Please advise how to go about it as I am simply overwhelmed by the procedures. Sorry that I haven’t read all the previous posts, so what I am saying might have been said already. I had a colleague working in my company in Guangzhou. The company was trying to get a visa for him, sponsored everything, etc. The work permit was rejected however as he didn’t have 2 years work experience after graduation. He had to leave China within a week. HI, how about if you start to work while your work permit is on process? You can’t leave China and you need incomes! I would advice you to ask your company and the local PSB. Unfortunately I don’t have information on this.